“We Only Want to go upstairs.” And downstairs! The Laurens County Museum, Laurens, SC, has set itself apart as a resource for local and state history - for some. For others, only part of the museum is available. 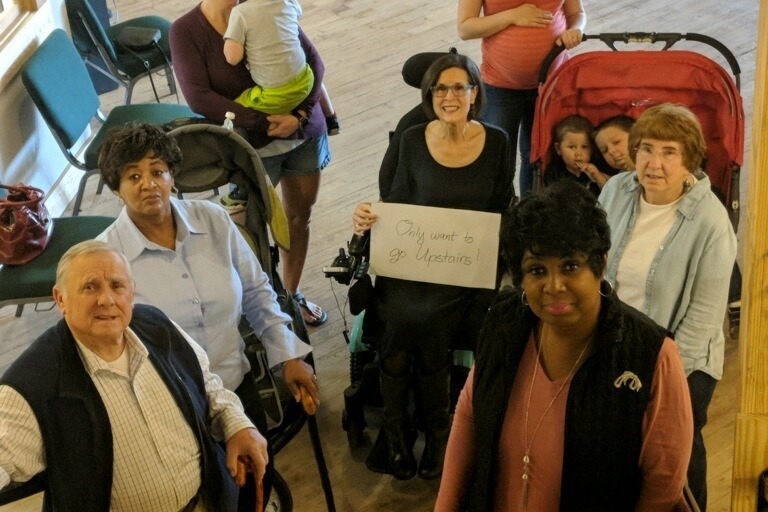 The basement classroom research area and the second floor Magnolia Room event venue are out of reach for people with disabilities and other issues — from mothers with babies in strollers to seniors with walking difficulties to people of all ages in wheelchairs, on walkers, and canes. It needs an elevator to be accessible to people of all ages and abilities. The renovation of the new museum on the Historic Laurens County Courthouse Square is at a standstill until a total of $175,000 is raised and the elevator can be installed. The Laurens County Museum preserves historic items from the town's beginnings to the 1990’s. The museum is home to three amazingly complete Native American Artifact Collections with over 20,000 pieces — the Dr. J. Robert Crawford Collection, the Tommy Charles Collection, and the Laurens County Collection. Other notable displays include the Rosemont Preservation Society Room which highlights artifacts from the Laurens County home of Ann Pamela Cunningham who started the Mount Vernon Ladies Association which saved and preserved the home of U.S. President George Washington, and displays of the several key Revolutionary War skirmish and battle sites in Laurens County.